Dubai is fast becoming the worlds leading travel hub, with it being a popular stop over city for flights between Europe and the Asia-Pacific region. As a result the city has a real fusion of cultures, cuisines and activities. The tourism industry has become the major industry in the city and as a result the local culture is starting to vanish as western cultures seep in to take its place, but that doesn’t mean that you shouldn’t come here. It is one of the only places in the world where you can go skiing in the desert, take an Uber helicopter or see a shark in a shopping centre. So on your next intercontinental flight, make sure to stop for a couple of days in Dubai. 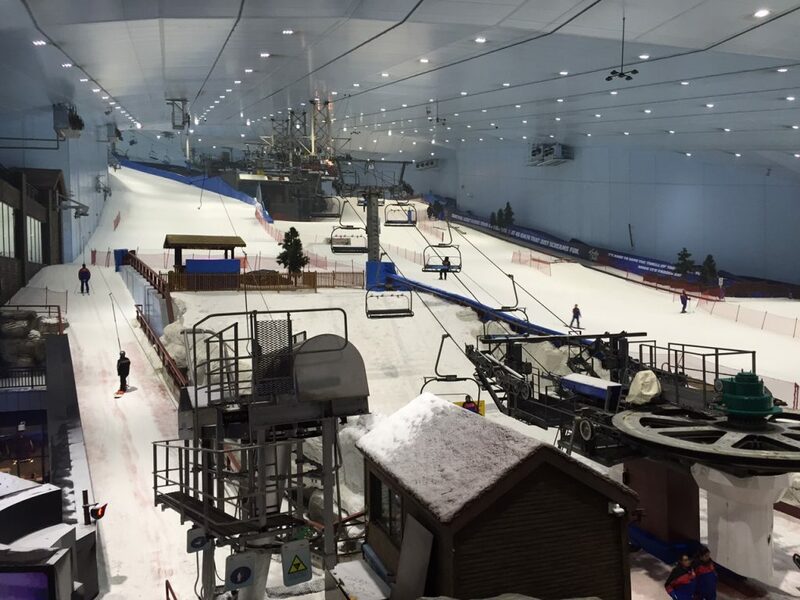 Only in Dubai can you go to a ski centre in a shopping centre in the desert! The most common way for people to get to Dubai is by international flight as direct flights are available from many locations around the world. It is a common stop over location for flights between the Asia Pacific region and Europe. The airport serves multiple airlines including Emirates, Qantas, Singapore Airlines, South African Airways, British Airways and Air Canada. UberX is not currently available in Dubai so Uber is not the cheapest option in this city. However it is reliable and the cars are a nicer quality as a result of the higher price tag. Taxi’s are the cheapest way to get around Dubai, particularly from the airport. Take the cream coloured taxi’s for good service and a good rate. 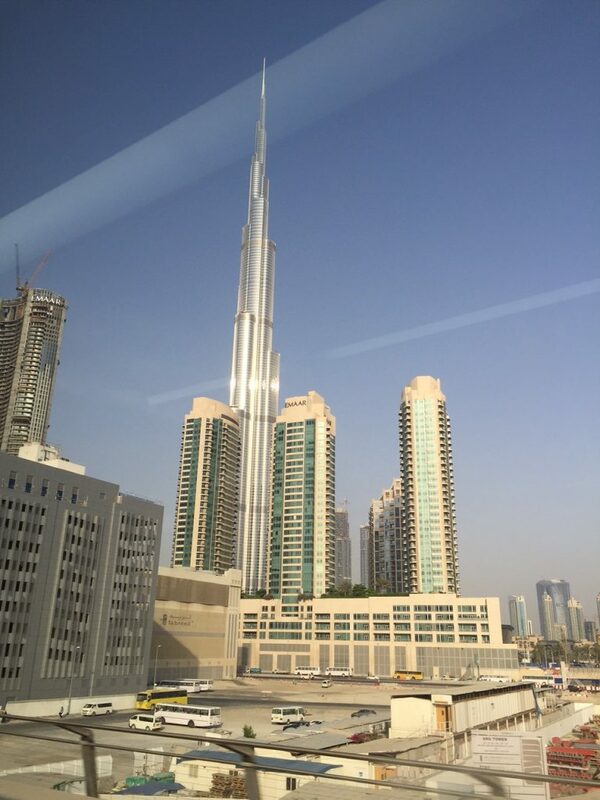 The train is the most cost effective way to get around Dubai. Tickets are cheap and you can get a day pass for the price of about 3 journeys so it can quickly be worth the money. It connects many popular tourist locations like Mall of the Emirates, Dubai Mall and the Burj Khalifa. Walking is only recommended for short distances around particular sites rather than being a form of transportation. It is very hot in Dubai so make sure you are well hydrated and carrying water if you plan on taking any lengthy strolls. A 4 Star hotel at a reasonable price. They have smoking and non-smoking rooms, a gym and an indoor roof top pool. The rooms are a decent size with comfortable beds and most important of all, the air conditioning is good! 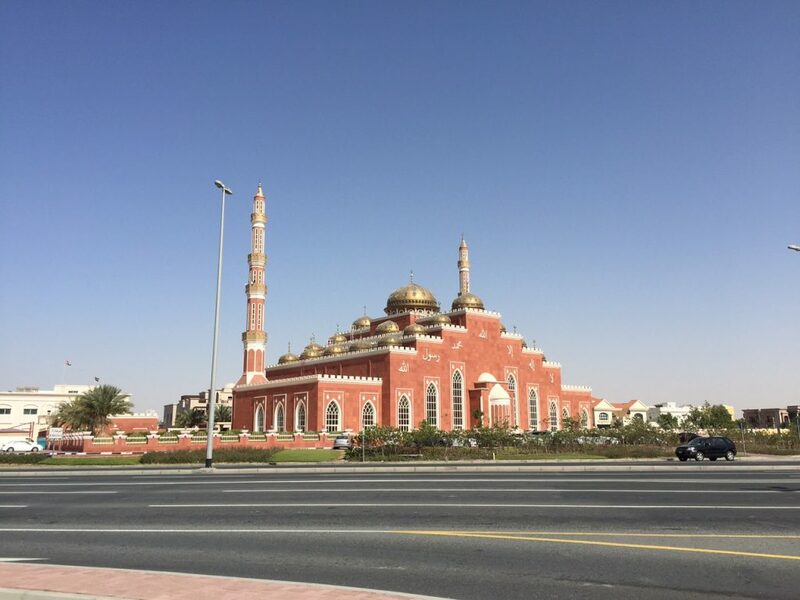 Be aware that there is a mosque located across the street and morning prayers can be easily heard in the hotel rooms which may be bothersome to light sleepers. Search availability and book the Ramada Chelsea on Booking.com here. If you are financially well off then this is the place to stay. The Burj Al Arab is world renowned for their excellent service and exquisite rooms. If only you didn’t have to mortgage the house to stay there. Search availability and book the Burj Al Arab on Booking.com here. 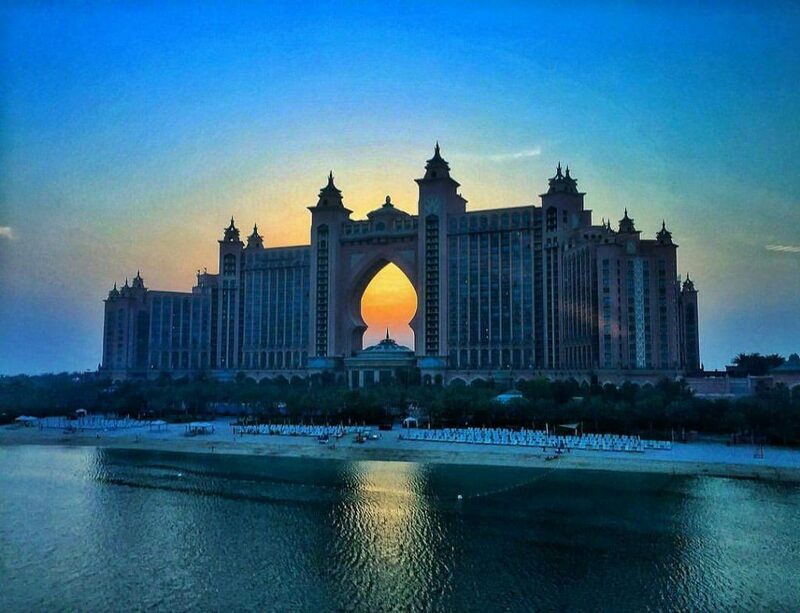 Atlantis The Palm is located at the peak of the Palm Jumeirah. It was the first hotel to be built on the artificial palm shaped island. It is a five star hotel that has a number of fine dining options, a massive swimming pool, views of the ocean and a water theme park on site. Search availability and book Atlantis The Palm on Booking.com here. A common concern for visitors to Dubai is what they should wear. You will be pleased to know that the expectations for dress in Dubai are the most relaxed of anywhere in the Middle East. When in the city or any tourist area (major malls, and other tourist attractions) you can wear what you would back home, preferably covering the shoulders and knees. However, when venturing further afield (to other towns, mosques or other areas that do not see tourists) you should ideally wear long sleeves, long pants or a long dress with no cleavage or midriff showing to show respect for the culture. A head scarf is not required except for mosques and religious sites. The Mall of the Emirates is one of the world famous Dubai shopping malls. It has over 500 shops, 85 food outlets and a ski centre! It has a train station on the main train line so it is in easy reach of most the city. You can spend hours or even days here spending your hard earned dollars on just about anything you can dream of, from clothes and jewels to cars. This ski centre is located within the Mall of Emirates. 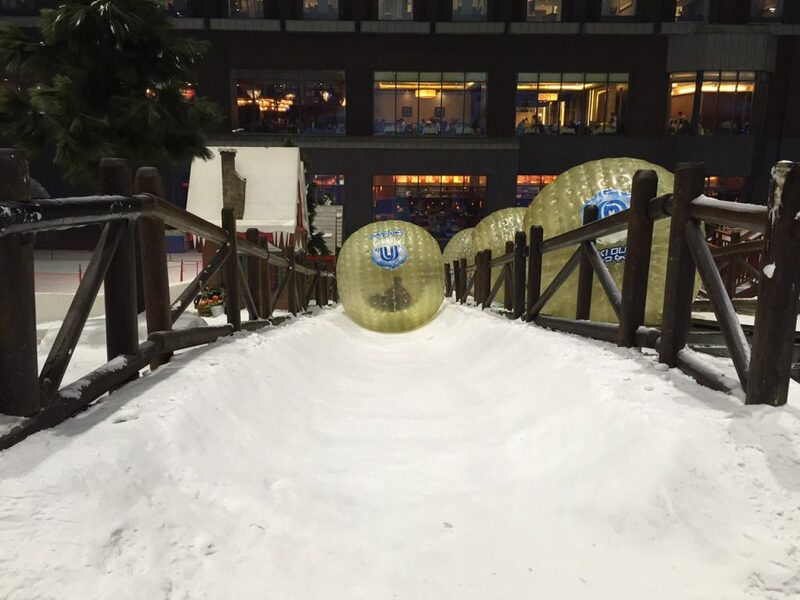 There is a ski slope, chair lift, zorb ball slope, tobogganing, a bobsled ride and even a penguin show. The large snow area is kept at minus 3-5 degrees to ensure the snow remains frozen and the penguins don’t work up a sweat. Tickets can be bought for approximately $55 USD for basic access to the park, an additional $20 will upgrade your ticket to include rides, for skiing or snowboarding prices start at $60. Other options include a giant snow mountain ride and a penguin encounter where you get to meet a penguin. Water resistant trousers, a jacket and boots are included in the price. It is recommended that you wear something warm underneath them. 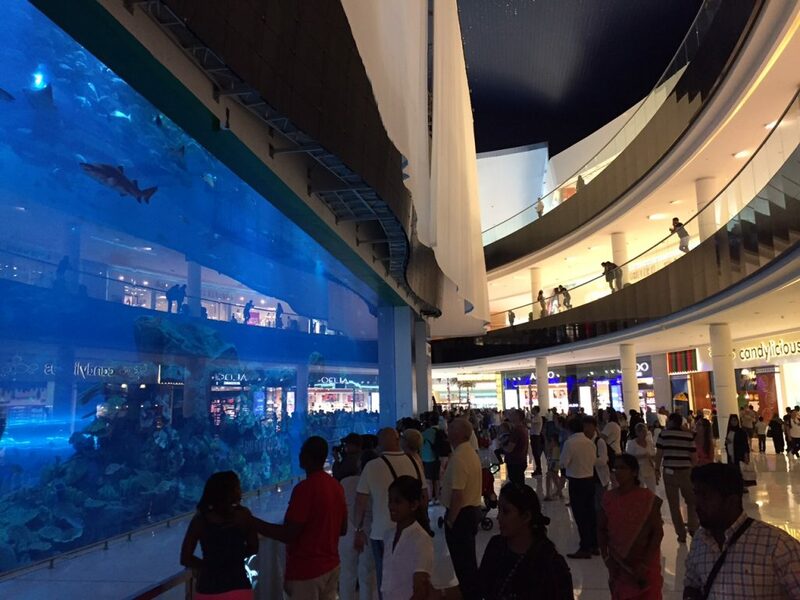 Dubai Mall is one of the worlds largest shopping malls with over 1200 shops, 120 food outlets and an aquarium with over 300 species of marine animals. It is also home to the world’s largest candy shop, a SEGA Republic indoor theme park and 22 screen cinema. 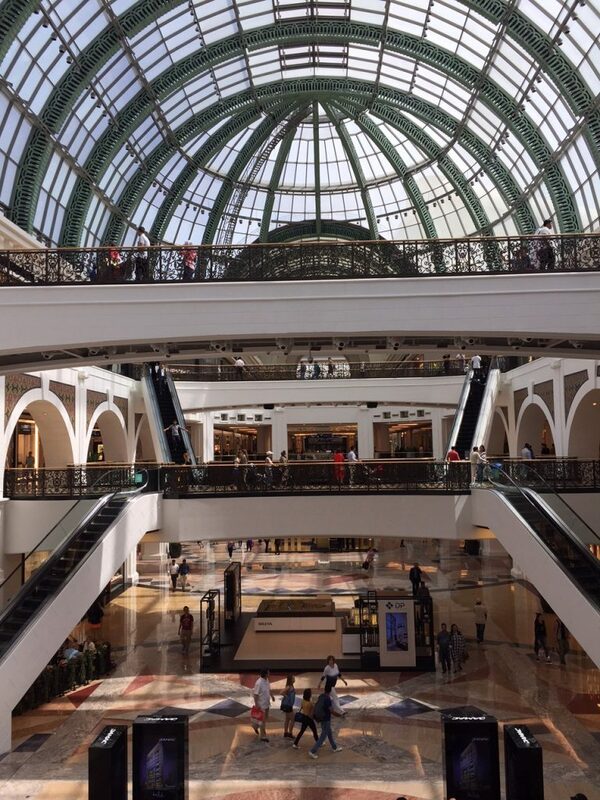 The mall is located next to the Burj Khalifa and is reachable by train. Where else can you enjoy shopping with sharks? At a height of 828m the Burj Khalifa is the world’s tallest building. It consists of 160 floors and there are observatory areas on Levels 124, 125 and 148 which is at 555m. The views are incredible on a clear day and you can see across the whole city. Tickets are best booked in advance online with prices starting at 125 AED (~US$35) for off peak times to levels 124 and 125 and reaching 500 AED (~US$135) for peak hours to levels 124, 125 and 148. Tickets bought on site for the time of arrival are charged at a premium. 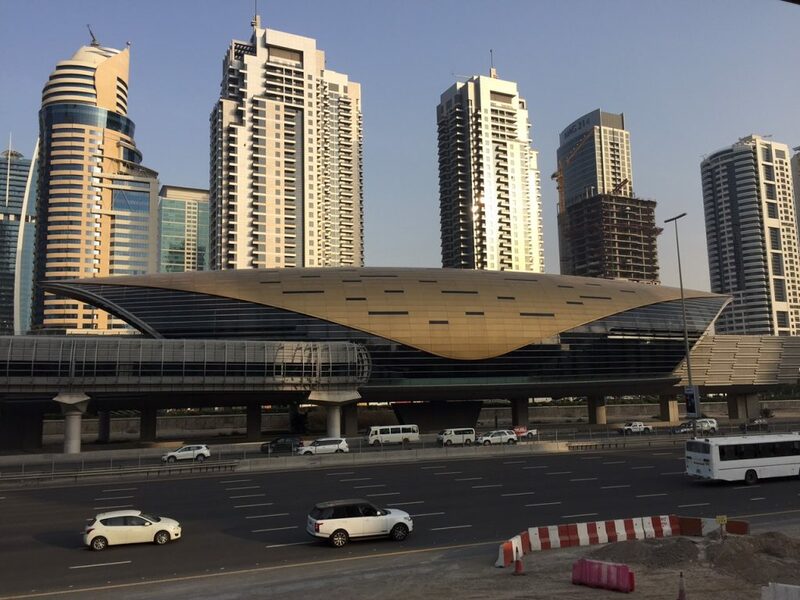 The building is accessed through the base level of the Dubai Mall which can be reached via train. The Burj Khalifa towers over the surrounding skyscrapers! 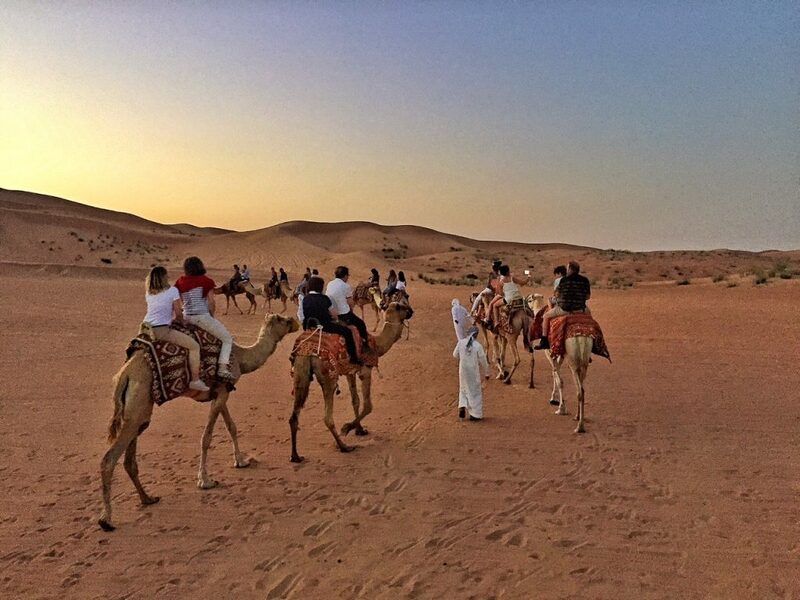 One of the most rewarding activities in Dubai is to go on a desert tour to the Dubai Desert Conservation Reserve. The trip starts with dune bashing in a well equipped 4WD across the red sand hills. Your heart will momentarily stop as it looks like there is no ground beneath you, but the drivers are well trained and know just when to pull back. If you are prone to motion sickness take your tablets before the trip starts. A photo stop will be made to allow everyone to capture the scene before continuing the journey across the desert reserve. 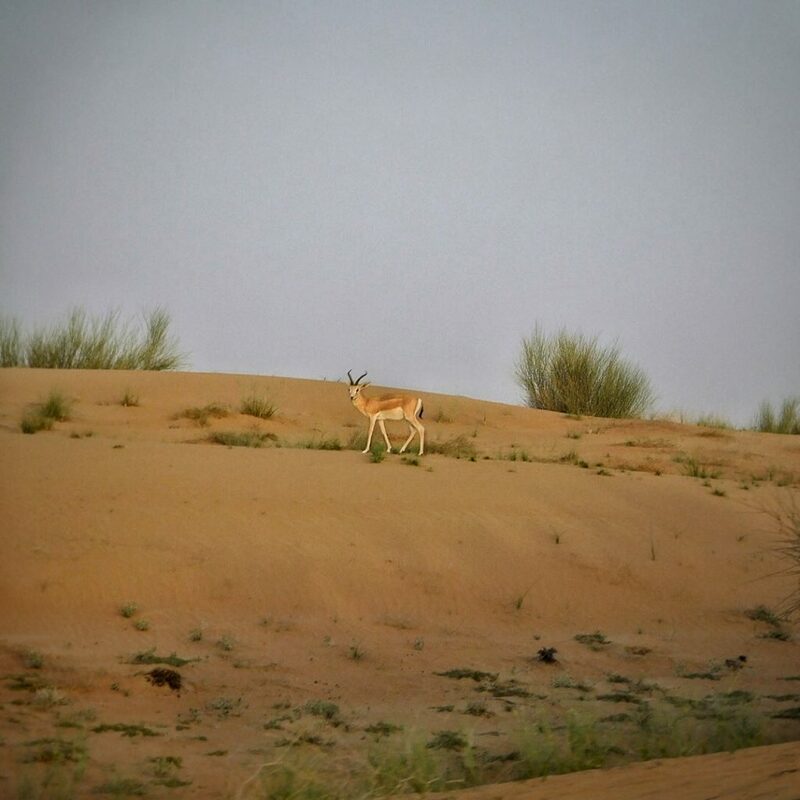 You may even be lucky enough to see an oryx, a native desert antelope and the national animal of neighbouring Qatar. 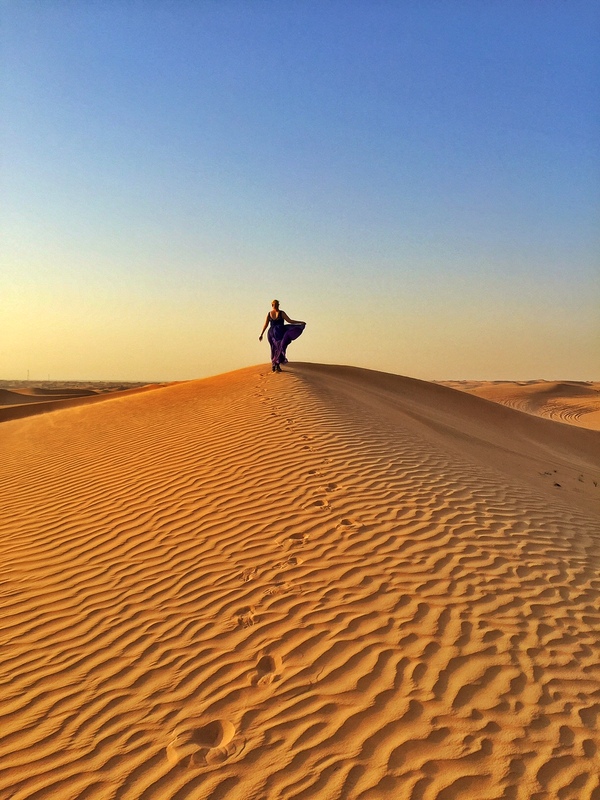 As the sun starts to set you will be taken to a viewing area on top of one of the sand dunes. The colour of the dunes come alive as the sun comes down. 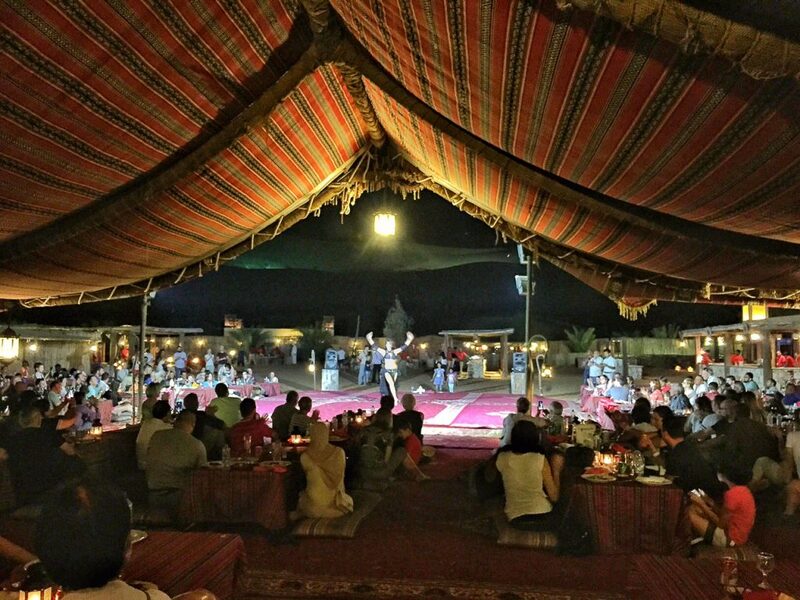 After sunset you will be taken to a desert camp where you can participate in a number of activities that are common to the area including camel rides, sand boarding, falconry, smoking shisha and henna tattoos. Once you are ready to relax you can sit back and watch a belly dance show while you partake in a buffet feast featuring the local cuisine. Once the show is finished all the lights are turned off and you can lay back and look to the sky and watch as a million stars twinkle away. 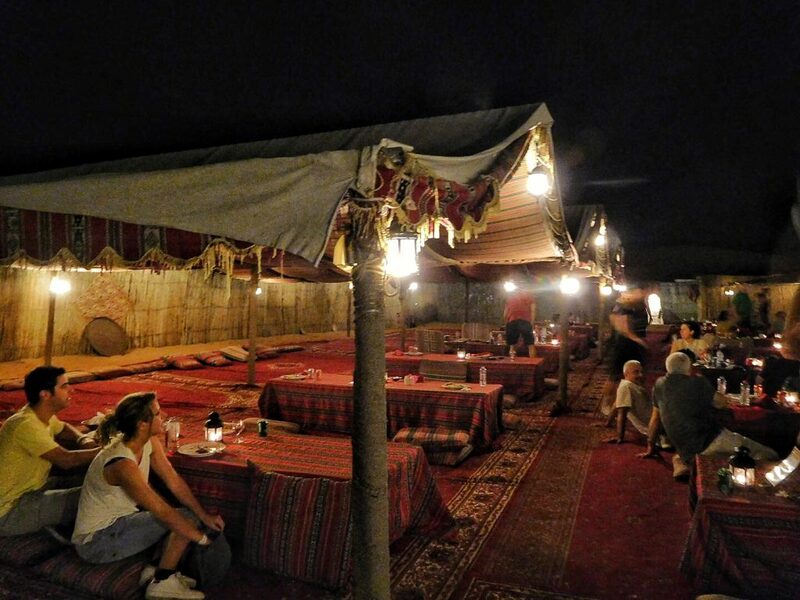 The Dune Dinner Safari is run by Arabian Adventures and prices start at 275 AED (US$75) per person for a shared vehicle (up to 6 passengers per vehicle) and go up to 1960 AED (US$535) for a private vehicle including alcohol with dinner.